After accidentally formatting any USB flash drive or hard drive without taking backup of important data, it's still possible to recover the lost data. Specially if you've chosen the Quick Format option on Windows. 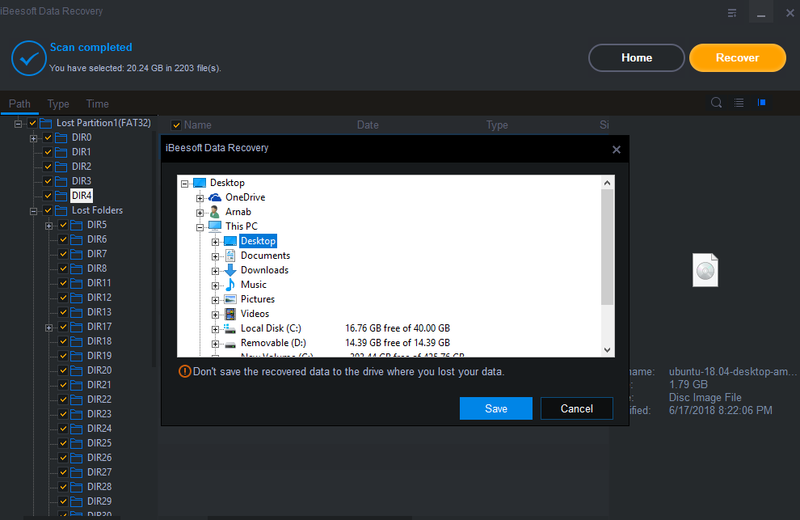 So, here's another data recovery software. It's from iBeesoft to recover data from formatted disk partitions. We'll do a quick review of the software, check it's features and capabilities. Let's get started. Installing the software on Windows platform is not hard at all, just like most other software. First you've to download the software installer file, get it from here. Then double click over the installer file, accept the licence and follow the simple on screen instructions. 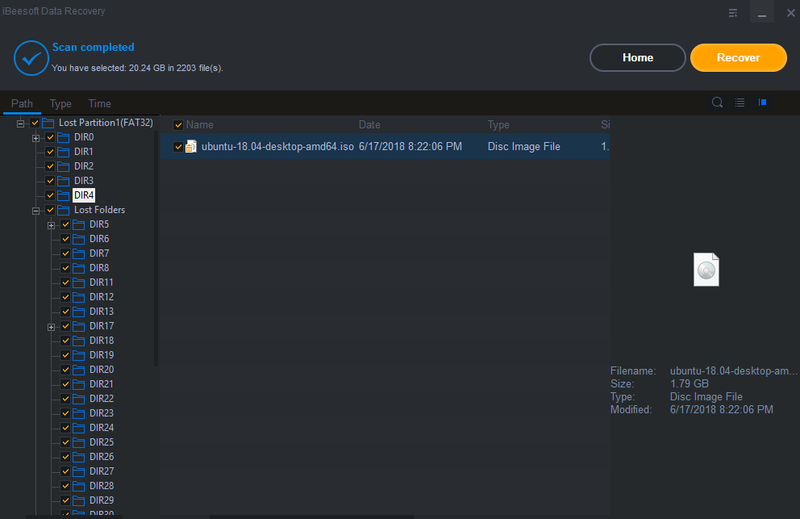 After installing, you can directly launch the software, or use the newly created desktop shortcut to run it later. Now there's an important part, you need to activate the software before actually using it to recover the deleted data. For that, you can use the simple menu items from the top right corner of the interface. Get an activation key from here. Also keep in mind that you'll need a working internet connectivity to activate the data recovery software, could take around a minute. Though it need to be activated before recovering any data, still you can use to to scan and get an overview of the deleted data for free. The user interface of iBeesoft Data Recovery is quite easy to understand. You also have a filter to sort specific data type you want to recover. As example. most probably you don't want to recover the collection of your movies from the formatted drive. Anyway, you can scan for all the files, and choose one by one which file you want to recover. Then you've to select the particular drive or disk partition, from which you want to recover the data. As example, I've selected the USB drive, FAT32 formatted. 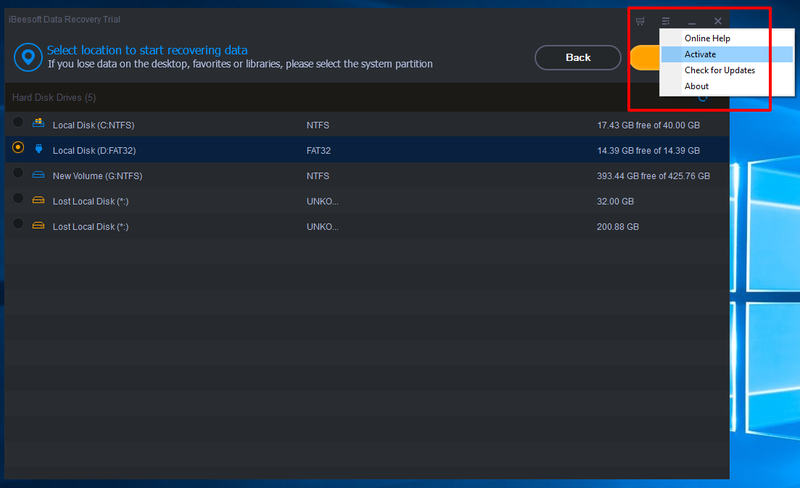 After selecting the right partition, hit the yellow scan button on top right corner. The quick scan is fast, it builds a index of recently deleted files and folders. But for a proper and full data recovery, you may need to run a deep scan, obviously which is slow. The deep scan may take several minute, mostly depending on the speed of the storage device. After the scan is complete, you can see the list of recoverable files. All of them are might not be recoverable. If there were a large number of files before formatting the drive, then you might have some trouble to find any particular file. In that case, use the Type and Time filter, much easier to sort the files of particular type. To recover any file or entire folder, select it, make sure the check box is ticked and hit the yellow colored recover button on top right corner. At this point, if the software is unregistered, you can recover any data. Here's an important thing to remember, do not select the same drive to save data from which you're trying to recover. By dong so, you're minimize the chance of recovering any meaningful data. The recovery process could take some time, again it depends on the size of file and speed of the formatted drive. To be honest, the dark colored user interface isn't exactly very easy legible. But the interface is simple enough to do the job. But the most important question of this review, can it actually recover data from formatted drives? Absolutely YES. For testing purpose, I formatted a 16 GB USB flash drive, containing many small and few large files. And this format recovery software was able to recover everything, however it took quite a good amount of time. So, how's the performance? I'd not say great, much like other recovery software. Most of the time the software has nothing to do with the data recovery speed. Unlike normal data recovery, recovery from formatted drives requires special care and special software. iBeesoft data recovery is a perfect candidate for this. If recovering important data is crucial for you, then this software definitely deserves a try. Check out the official website for more details. I hope this review is meaningful, if you've any question or suggestion, just leave a comment below.